It is a real delight to join you at the Chopsticks Club concert. With this concert, we are celebrating two anniversaries: the 69th anniversary of the founding of the People's Republic of China and the 25th anniversary of the Chopsticks Club. Eight years ago, I attended a Chopsticks Club event for the first time. Since then, the Chopsticks Club has held many wonderful events. A definite highlight of these is the concert celebrating China's National Day. Tonight, the Chopsticks Choral Society will provide us with a feast of cultural exchange. 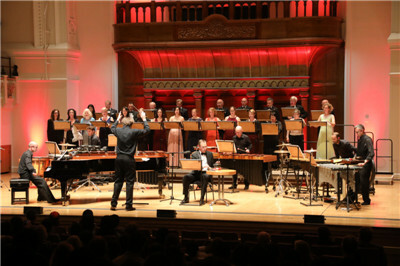 The music pieces and the inspiration come from traditional Chinese culture, but the composers are from both China and the UK. The songs will be sung in the Chinese language, but the singers are from China, the UK, Europe and America. This reminds me of a well-known line by John Lennon. He said, "A dream you dream alone is only a dream. A dream you dream together is reality." Music fosters an emotional bond between people. It is a language without borders. In the language of music, tonight's concert will tell about three dreams. The first dream is about cooperation. This year marks the 40th anniversary of China's reform and opening up. It is also the fifth anniversary of the Belt and Road Initiative (BRI). Deeper reform and greater opening up in China, and the steady development of the BRI create invaluable opportunities for China-UK cooperation. In fact, through joint efforts, our two countries have already achieved fruitful results in a wide range of areas, from economy and trade, financial services, investment to science and technology, health care, innovation and energy. China and the UK are like a pair of chopsticks. As long as we support each other and work closely together, we will deliver for our people. The second dream is about friendship. 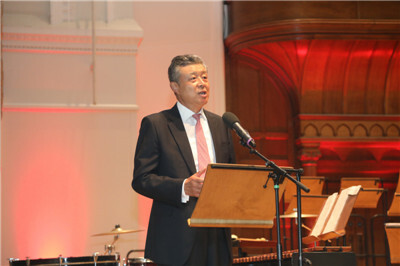 China-UK relations have withstood difficulties and grown mature. The people of our two countries have had increasingly close exchanges. There are more than 1.5 million mutual visits between our two countries every year and 150 passenger flights every week. There are more Confucius Institutes and Confucius Classrooms in the UK than in any other European countries. The Chinese language for the first time became the third most popular foreign language in this year’s A-level exams. 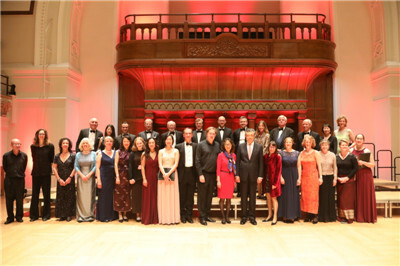 And there are more and more NGOs like the Chopsticks Club that are working for the China-UK friendship. The third dream is about exchanges. China and the UK differ in history, culture and social system. We are in different development stages. This makes exchange and communication all the more important. Both China and the UK uphold mutual respect, openness and inclusiveness. That is the basis for better understanding between our two countries. The first piece on tonight’s programme is called Dao. It is inspired by Taoism founded by the ancient Chinese philosopher Lao Tzu. The Taoists believe that the highest virtue is like that of water, nourishing all living beings and at peace with them. They believe that people may take different paths but still reach the same goal. These philosophical ideals represent China's wisdom. 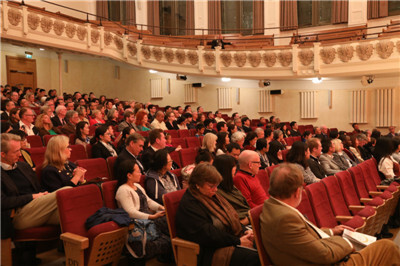 Therefore, I regard tonight's performance as a dialogue between the Chinese and British civilisations. Dreams are the seeds of actions. I sincerely hope that people from all walks of live in both China and the UK will join hands to take actions to expand exchanges, increase understanding, deepen friendship and enhance cooperation. Together we can help the seeds take root, grow strong and bear fruit. Together we can make our common dreams come true! In conclusion, I wish tonight’s concert a great success.